Set in North Wales, an area that is well known for its historic and natural beauty, Happy days and Browns Holiday Park are ideal for exploring the fantastic beaches and mountain ranges of North Wales. With the parks being less than 500 yards from each other, both give you easy access to the beach which offers half a mile of golden sand for you and the family to enjoy. The parks are also within a few minutes walk of the hustle and bustle shops and markets that are such a popular feature of Towyn and the surrounding area. 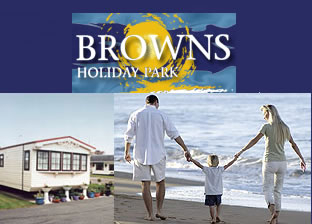 When looking for a holiday home, location is very important and, at Browns and Happy Days, our location is ideal.